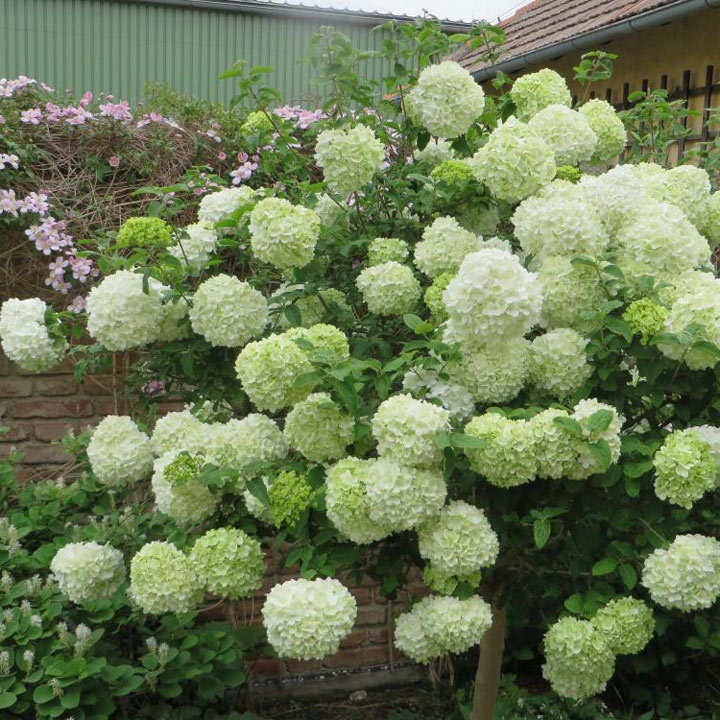 The huge pure white balls of flowers on this variety really make it stand out. Almost resembling hydrangeas but a lot earlier in the season and injecting a real hit of colour into the garden during spring. 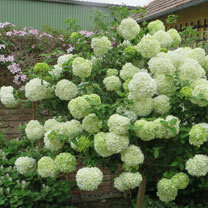 An easy to grow deciduous shrub, great for creating a background towards the back of a border for the perennials to perform in front of during spring and summer. Height 301cm+. Supplied in a 3 litre pot.